Beatrice Irving has been in love with her employer since the day they met. 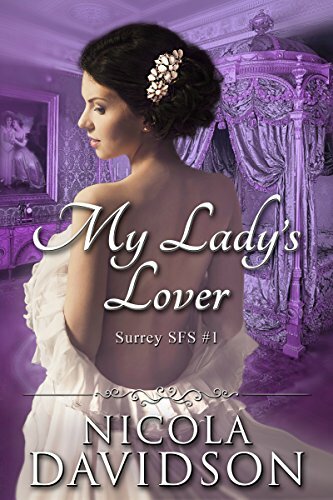 Even more forbidden, she is Amelia, Countess of Garrick—intelligent, beautiful, and very much married—and an affair that would cause the society scandal to end all scandals. It seems Beatrice is destined to remain alone, her only joy the deliciously wicked monthly meetings of the Surrey Sexual Freedom Society. Please note this book contains explicit language and sexual content. Wow what a book, Nicola did say it was hot and she was not wrong, I loved it and read it in one day. I don't want to say too much...but what I will say is I definitely routing for Bea and Amelia. I also would love to be a fly on wall at the Surrey Sexual Freedom Society Meetings. I will also say please don't read this book if you don't like explicit language and sexual content. If your fan of Nicola's books like I am then you will not be disappointed, all I can say is I am so looking forward to the next book. I received this ARC from the author, in return for a honest review.